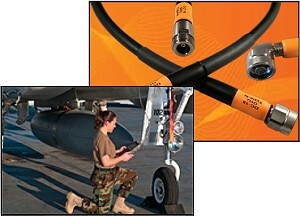 ConductRF's Site-Flex RF Field Test Cables have been designed to support Handheld RF & Microwave Analyzers. The ruggedized construction includes anti-torque connectors that are firmly attached to the cables external armor. Crush resistant SF series cable can withstand 1,200 lbs/sq.in. Additional configurations and lengths are available on request. ConductRF's principle U.S. manufacturing location is in Methuen, MA, where we maintain a highly skilled team of technicians and skilled production staff. Our factory is ISO9001 certified and also ITAR registered.